Liquid lipsticks are such a big thing lately and i'm so glad that the drugstore brand are in on that hype. As you can see I have tried my fair share of formulas now so I think I can give a good opinion on these. In terms of liquid lipstick I like a matte finis but one that doesn't dry my lips out lips out like the Sahara desert and won't go patchy. This is a formula that I love as the mousse formula is light on the lips but gives a good amount of colour and doesn't look patchy. They have the matte finish i'm after but still nice and creamy to apply, I find the wear time is okay but it does need reapplying after a few hours or after eating. The newbies from Rimmel have really wowed me and I have picked up quite a few shades. They are quite a runny formula that can be built up depending on the look you want and it dries matte pretty quick. Once applied these stay in place for hours and can withstand eating and drinking. This for me is a bit of a lie as there is nothing matte about it, its more like a very pigmented and thick gloss. This contains some moisturising ingredients which may be the reason it isn't very matte but it does keep my lips soft. This was one of the first even liquid lipsticks I tried and whilst I still like it, it has kind of fallen to the back of my collection so I need to show it some more love. This is a thick formula that dries down to a velvet finish, that is rich in colour. I like to apply this with my fingertips for a softer look that doesn't feel as heavy. These newbies from Maybelline are my favourite collection of colours as they focus more on brighter colours and not so much nudes. These are from the Superstay collection and they definitely stay in place all day with a matte finish. The applicator has a precision tip so you can perfectly line the lips at the same time. Another range of bright colours with an intense amount of pigmentation. These have a really interesting curled applicator that curves around the lips for precise application. It has a velvet formula that dries down matte but it still comfortable and smooth to apply. This one from Barry M has quite a light weight formula that glides on the lips nicely but still keeps them hydrated. It dries down matte and has a long wear formula but it does need reapplication after eating or drinking. This is favourite formula of mine and I have been wearing this a lot recently. This is a lightweight watery formula that glides on smoothly and quickly, but you do need a few coats to get a full opaque look. It dries down matte and doesn't dry my lips out or go patchy. I really loved the Nyx Lip Lingeries and this is basically the same but with an oil based formula that keeps the lips moisturised and plump. It has a satin matte finish so there is a slight sheen to it but it does wear away easily so you need to reapply more often. 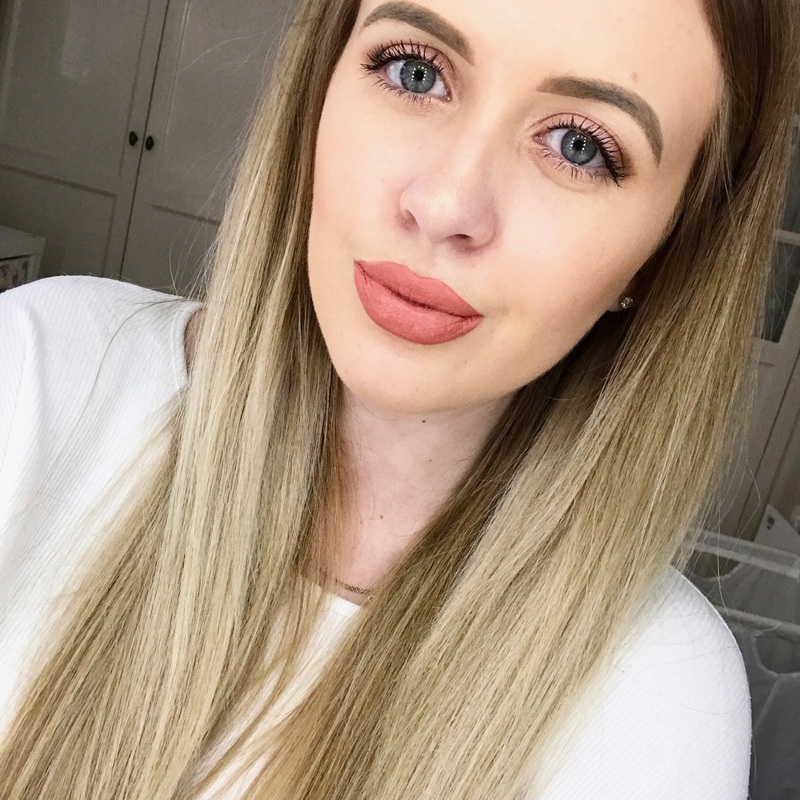 What are your favourite affordable liquid lipstick picks? You have such a selection! I love how the drugstore are seriously upping there game. 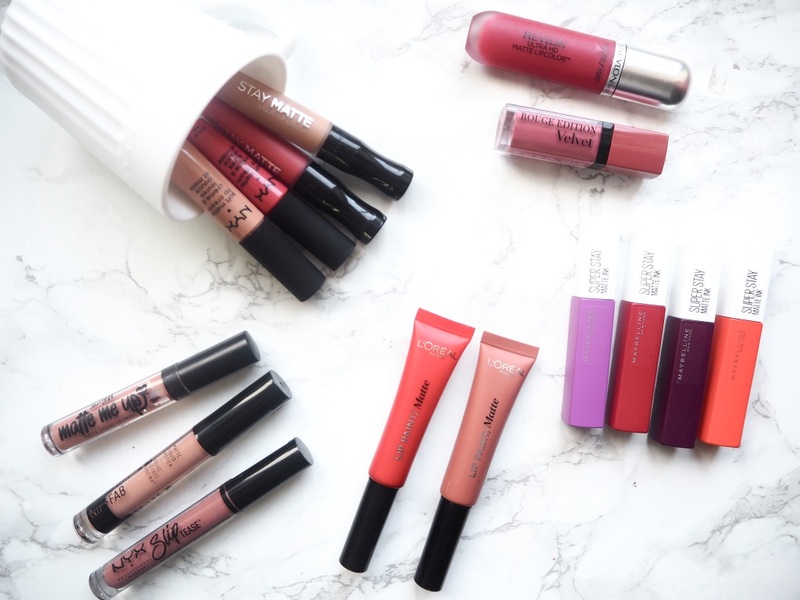 I have a lot of liquid lipsticks in my collection but mostly high end, so definitely need to check some of these out! I've been eyeing up the L'Oreal ones recently - there are some great shades in the range!